Send FB requests to your friends to help you to collect the 5 essential items. 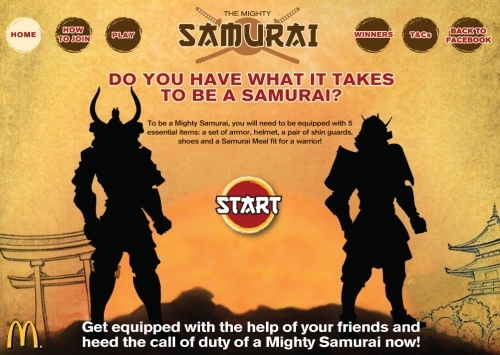 Enjoy the mighty Beef Samurai Burger! Participants can only receive 1 item from each friend in a week. Visit McDonald's Malaysia contest page for more details.